The problem with organ transplants is that demand significantly outstrips supply. One organ donor can save the lives of an average of eight people, but even at this there are always more people in need of a transplant. Every 10 minutes a new person is added to the U.S. organ waiting list and as many as 20 people die each day while waiting for a transplant. The gap between those in need of an organ and donors is ever widening, but the advent of lab-grown organs is promising to close it completely. 114,000: The number of people currently on the organ donor waiting list in the U.S. Recent breakthroughs have given a glimpse of the future and shown that producing functioning major organs for humans could be a matter of years and not decades away. Researchers at the University of Texas Medical Branch at Galveston successfully bioengineered pigs lungs and transplanted them into adult pigs with no complications experienced. Four pigs were the recipients of lungs and were each kept alive for different timeframes. In order to examine the development of lung tissue and to see how the bioengineered lungs were integrating with their bodies, the pigs were euthanised at 10 hours, two weeks, one month and two months after transplantation. The results were extremely promising. Even from two weeks post-transplant the bioengineered lungs had developed the network of blood vessels that is necessary for their survival. As the trial was short, it isn’t clear how much oxygen was being provided to the pig with the new lung, but this will be the next stage in development, along with testing the survival rate for a longer period of time. The technique for producing the lungs is one that is being used in the production of other lab-grown organs. A support scaffold is needed for the engineering of a lung or any other organ. In this instance a lung was taken from a different pig and using a special combination of detergent and sugar, all of cells and blood are removed to leave only the scaffolding proteins remaining. In addition to the scaffold, cells from each of the test animals are taken so that a tissue-matched bioengineered lung can be produced. The scaffold is then placed into a bioreactor containing a cocktail of nutrients and the animal’s cells. The lungs are then grown for 30 days until they are able to be implanted in the test animals. Bioengineering the lungs using the pigs own tissue cells is a key factor in this technique. It removes the need to suppress the immune system to allow the organ to be accepted as the organ has the cells of the study animal. For humans, this has great implications as donors currently need to take a range of immunosuppressant drugs to stop their bodies rejecting the lung, whereas with an organ grown in this way in the lab would use the person’s own cells and stop the rejection. The researchers at UMTB believe that with the right funding, growing lungs for human transplants could be possible in as little as five to 10 years. Using a patient’s own cells in this way has already been used by the Wake Forest Institute of Regenerative Medicine. In 2006 developed lab-grown bladders that were successfully implanted into children and teenagers that were born with congenital defects. The bladders are formed using the patient’s own cells and a scaffold made of collagen. After the new bladders have been implanted, the scaffolding dissolves gradually. The bladders were successfully implanted in around two dozen people, but the technique has yet to become commonplace. As well as producing organs in the lab with existing organ scaffolding, such as with the pigs lungs, researchers are also working on methods of printing organs and body parts. This sounds like the stuff of pure science fiction, but it’s an expanding field of science. At the moment printing solid body organs that can be implanted in humans is thought to be around 25 to 30 years away, at best, but scientists have successfully started printing things such as cartilage and skin cells. Researchers at the University of Toronto have developed a handheld 3D printer that can be used to directly apply layers of skin tissue on wounds so that they can heal. It hasn’t been tested on humans yet, but it is hoped that in time it could replace traditional skin grafts. 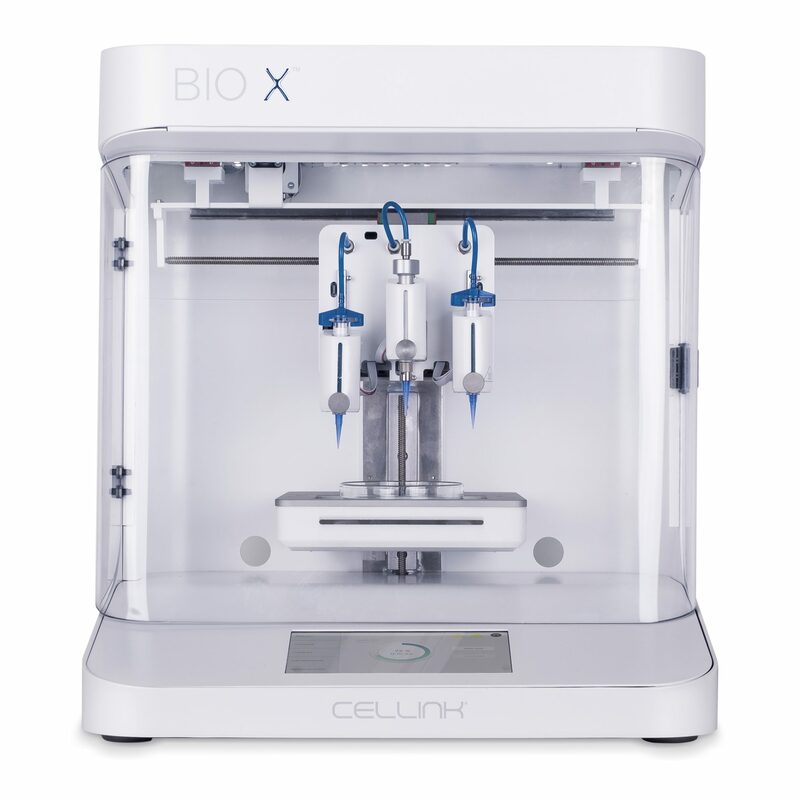 The small Swedish company Cellink are already 3D printing skin cells for use in drug testing and cosmetics. This is another real benefit of producing organs in the lab. If we are able to produce hearts, livers, skin and so on, then we can test the effectiveness of drugs on real organs to develop better treatments and therapies. There is also a slew of other companies emerging and jostling in the 3D organ printing space, and they are bringing the funding to boot. Miromatrix secured $15.7m in funding to pursue its long-term goal of printing human organs, and other companies such as Allevi are also receiving investment. Tech investors are starting to bet that 3D printing of organs is coming, and they want to make sure they have a slice of the pie. The ultimate dream for the future is a day when we will be able to 3D print and grow any organ for any person in a way that is an ideal genetic match, and then implant these organs on demand when they are needed. It would save countless lives and help so many people who are born with congenital defects. The technologies to make this happen are all accelerating and converging, and in 30 years this dream looks like it could be a reality.